Savour an eclectic spread of cuisine that mix nuances of Arabian, Oriental and Continental recipes as you enjoy upbeat tunes by a live duo and views of the verdant Palace Gardens with your near and dear ones. Add some more things on the menu – the springtime needs to have more solid reasons to come visit. Palatial Arabesque décor, inspiring views of Burj Lake and The Dubai Fountain, flavourful infusions, a lavish themed buffet and melodies played by a live harpist and violinist. This is how we celebrate spring in the dazzling heart of Dubai. 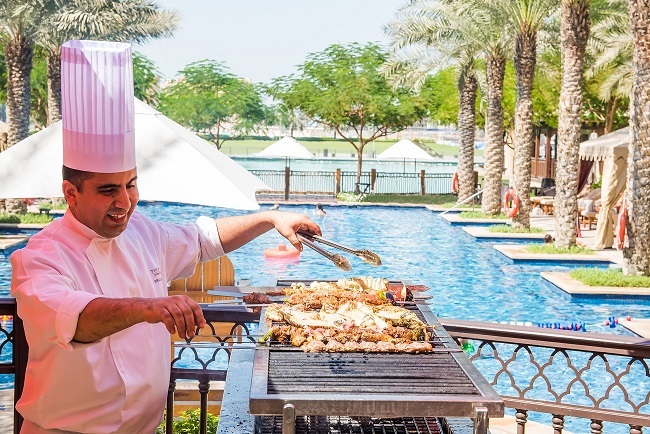 Indulge in a sumptuous brunch featuring 1,001 delectable flavours within the palatial settings of Ewaan, one of Dubai’s most sought after destinations. 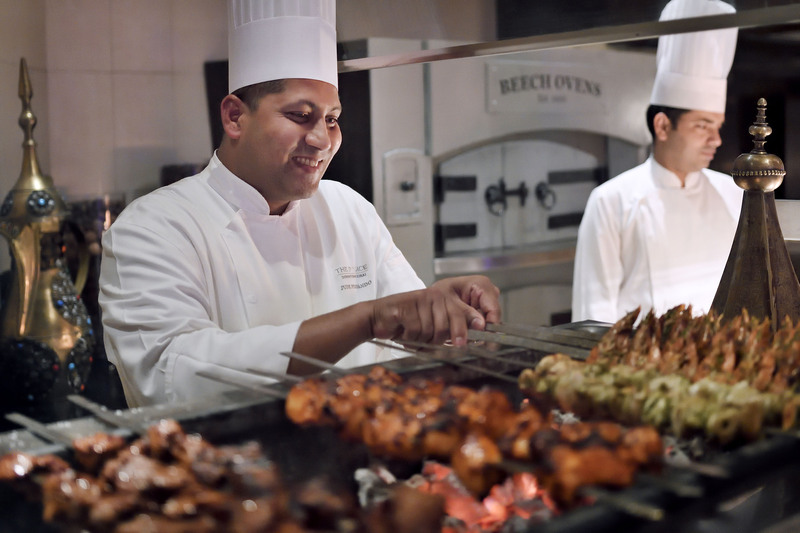 Take in stellar views of Burj Khalifa and The Palace Gardens as you savour inventive, delicious dining featuring fresh Fine de Claire oyster food stations, outdoor BBQ, Omani lobster, gourmet cheeses and more. Price: Detox Brunch – AED 345 per person including a range of healthy detox beverages high in antioxidants as well as freshly squeezed juices, water, coffee and tea;Premium Brunch – AED 510 per person including a selection of premium grape beverages and ports as well as freshly squeezed juices, water, coffee and tea;Luxurious Brunch – AED 735 per person including an exquisite selection of premium grape beverages and free flowing bubbly, as well as freshly squeezed juices, water, coffee and tea.